for Mayor of Long Beach!" Vote Steve Mozena for a Refreshing Change! Like the Earnhardts are a racing car family, the Sheens are an acting family, the Mozenas are a business family. My Dad owned a Physicians and Hospital Supply Company, at one time covered 10 states, my mother founded the first bed and breakfast in Portland, OR and named it Portland's White House because it looks like the real one. It still operates 30 years after she founded it. She sold it 1996 and the same owner allowed us to have her wake there in January 2014. My mother passed away at 90 years old. I'm an entrepreneur and business owner of three successful businesses for more than 20 years. 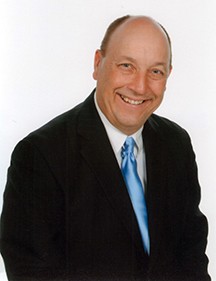 I have lived and breathed business all my life, from helping both my parents at a young age, to being the top salesperson at our high school's candy drive as a high school junior and senior, as well as participating in the Junior Achievement business program. I have had entrepreneurial and business blood flowing through my veins since birth. I know how to help businesses and I know how to create jobs. So, I hope you cast your vote differently, this time, for your sake—for different results, vote differently! I'm someone like YOU—who is a husband, dad, and son, who wants to help you and your family—really! It's time we refuse to reelect the same old career politicians, teachers and lawyers. They all talk a great talk—because they practice it every day—but when it comes to action, to help you, they don't deliver. In our country, lawyers and teachers dominate our political process. They shouldn't. Why? Because they're talkers! They talk for a living. They're slick. They're smooth. They're talkers not doers. They sound great but they really don't care about helping you and your family make more money! They talk. I'm a man of action. Unlike them, I will do what I say. We need regular folks like the butcher, the baker, a businessman, a job creator, like me, who really cares about creating not just jobs but careers. Moreover, I'm a small business owner and I will help all businesses make more money, especially the mom and pop businesses with my "Business Swat Team." I'll bring more jobs with my "Medical Corridor." I'll bring more jobs with the Seadip Long Beach Stadium. I'll bring more jobs with a Casino and by making the Queen Mary like a docked Disney Cruise for one-stop entertainment. Right now, we have aristocracy, a meritocracy who graduate from Ivy League schools, as well as a dynasty of families who run our country like we have a monarchy. In fact, we have our local version of the Kennedy and Bush dynasties. Jeez, Jeb Bush is thinking of running for U.S. president. Locally, it's time to dethrone our local king, queen, and princess. We certainly don't need a wealthy guy who wants another feather in his cap. How about electing just a plain old regular guy who has common sense for all of us regular people, and will actually help us make more money individually and for our businesses? We don't need erudite elites who have multiple degrees from Ivy League schools like Harvard, Yale, and Stanford who think they know what's best for us. We need a regular American to help all of our fellow Americans do what we want to do and to do what's right for us, “the people” —not promote and push their own self-serving political agenda. We need someone who can make common sense decisions for us, the people, with an unswerving ability to be honest and decent, and to listen to and help the people and endeavor to give them what they want and need. Feel free to surf my mayoral website to see my vision for you here in Long Beach. The government works for US, we don't work for IT! So, I'm asking you to please vote for me—Steve Mozena. Either vote for me now by mail with your vote-by-mail ballot or vote on April 8, 2014, for Steve Mozena for Mayor of Long Beach at your polling place. Show the local press and organizations that they may have predicted and wished for a preordained candidate but this will be an unexpected victory for Steve Mozena, a businessman who has made a point of "bucking" all the conventional ways to win because you're the voters who will make it possible for me to win with your votes, not their predictions or endorsements. Just like the recently unexpected win by a write-in candidate for the State Senate in Pennsylvania in March. 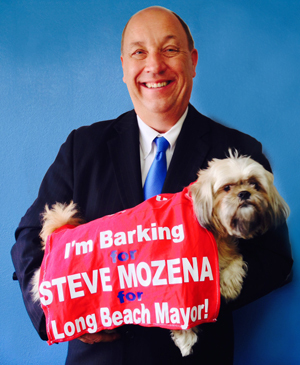 Let's show the local Long Beach pundits, we're the voters for the City of Long Beach by electing me Steve Mozena, a businessman, a job creator, the next Mayor of Long Beach.